Sodagar Novel Complete 3 Volumes authored by Kashif Zubair. The famous fiction novel published in the Naye Ufaq Digest, in a booklet format. This novel contains an interesting story of such a young man, when he opens his eyes in the world, death and destruction was waiting for him. There was no shelter for her life and safety, but the nature was probably intended to take some important work from his, so he survived and proved to be a challenge for his enemies. Nobody knows what events in the universe are important in the future. Because human mind and understanding is limited. It only looks at the limited angle in the particular circle. It is not possible to understand the philosophy of life without the awareness of life’s mysteries and secrets. The Story of the continues eternal battle of good and evil in Urdu language. The story of this novel complete gripping on full suspense, action, adventure, fiction and fantasy. 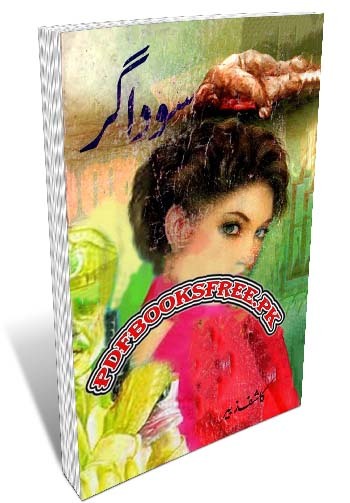 Urdu novel Sodagar 3 Volumes complete is now available on Pakistan virtual library in high quality Pdf document for the study of our visitors. Check out the following links to download the complete novel in Pdf format and enjoy offline reading in your computer and android devices.